As a security leader, you must navigate an ever-changing security landscape. To chart a successful course it is imperative to align operational excellence and security priorities, meet overarching business objectives and articulate a clear vision of how your program maps to the realities of your business. 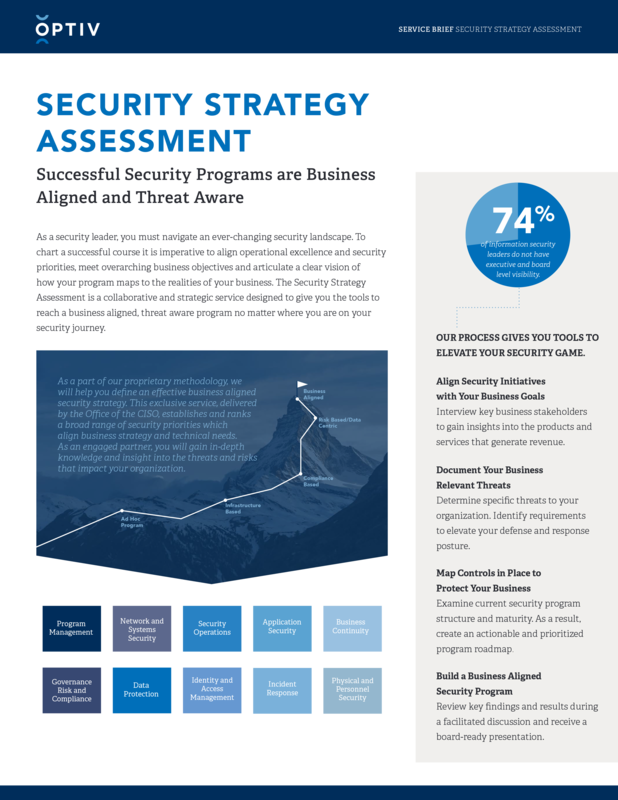 The Security Strategy Assessment is a collaborative and strategic service designed to give you the tools to reach a business aligned, threat aware program no matter where you are on your security journey.